New Article Featuring Arctic Adventure! 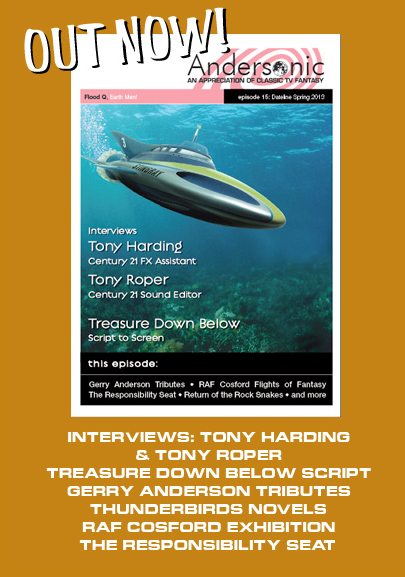 Now available, Andersonic Magazine Issue 15 has an article on FTL Publications’ line of Thunderbirds™ novels, including Arctic Adventure! I was interviewed for the piece, as was FTL Publisher and author Joan Verba and cover artist Steve Kyte. I haven’t seen a copy yet but expect to get mine very soon. If you’ve gotten yours, let me know how it is! Check out the Andersonic Homepage for ordering info.